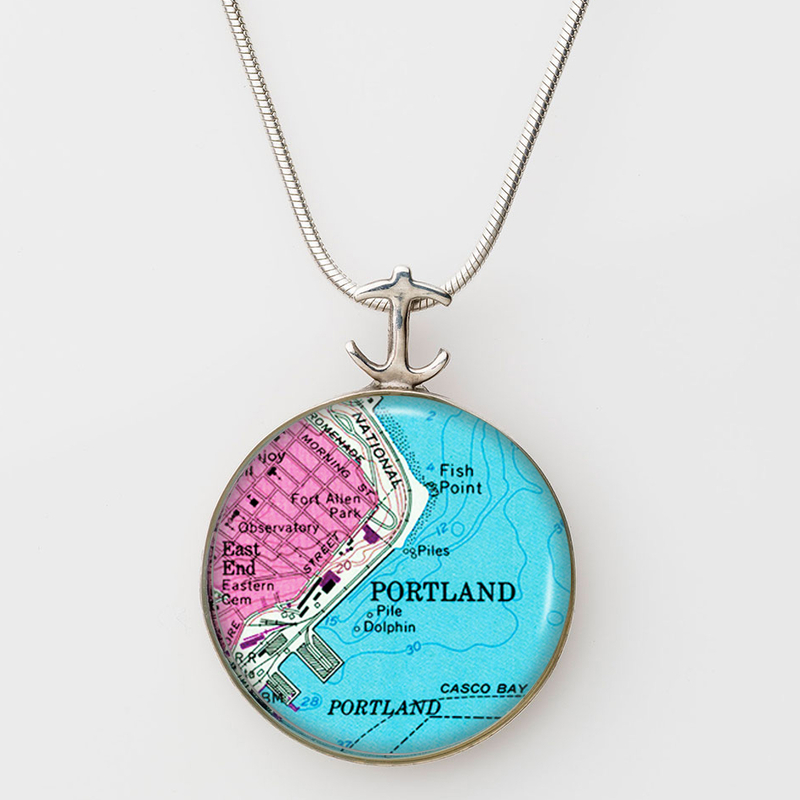 Nautical map jewelry and accessories featuring our signature anchor design is hand-cast in a variety of metals. Images from beaches, harbors, points and peninsulas preserve memories if cherished times and special places. 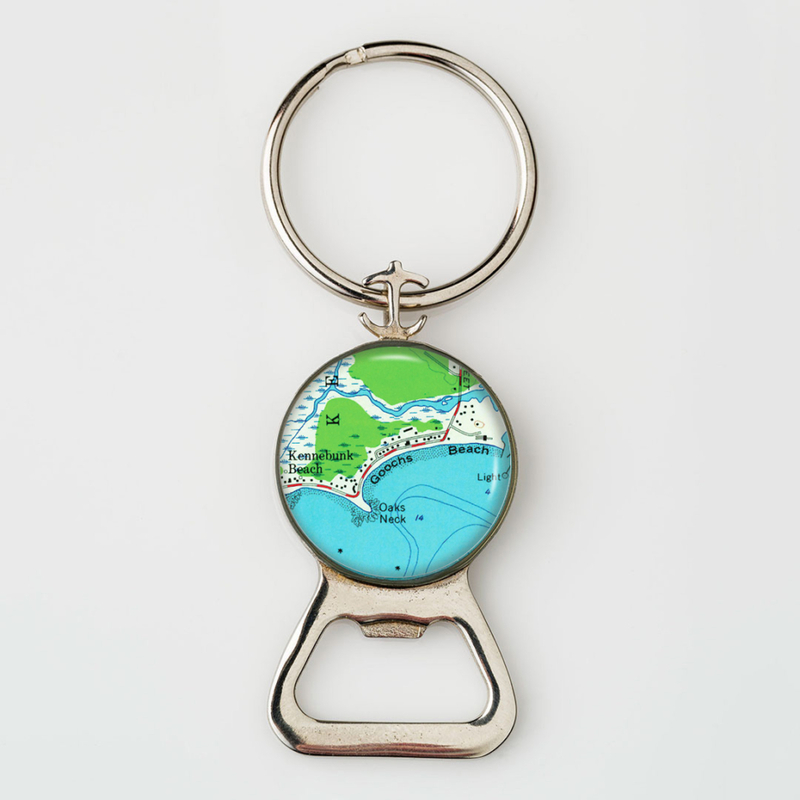 Choose from hundreds of locations or have us create custom pieces with your special place. 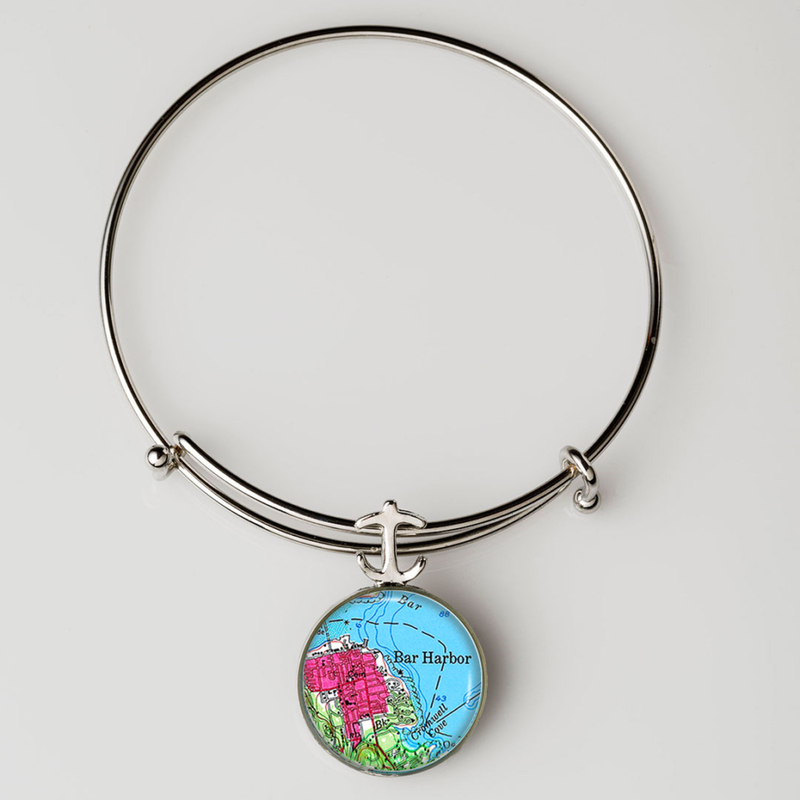 Maritime images are placed in our handcrafted bezels and finished with resin. 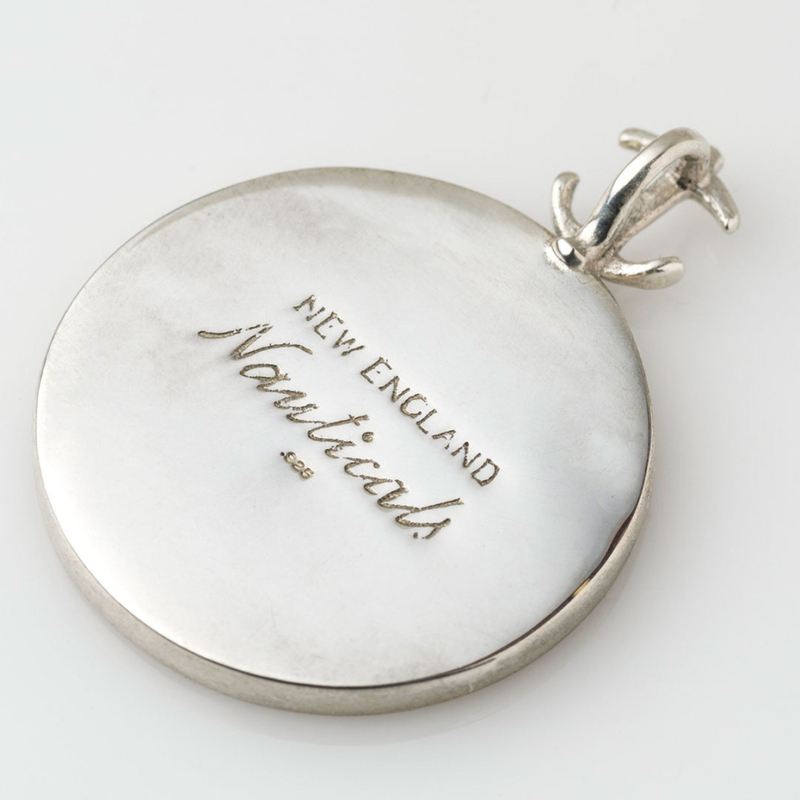 With the exception of our sterling chains, all materials used are sourced in New England and created in Maine.